You might want to read the original Don’t Be a Lemming, but it isn’t essential, as this piece is gonna be mostly about lemmings. When that title popped into my head as I was waking up one morning, it occurred to me that I should make sure I knew what a lemming really is, so I found the Wikipedia article on them and read it. What a surprise! They are cute little critters who live in the snow in the Arctic. They even have a special claw on their front feet to help them dig in the snow for food. And they don’t hibernate, but remain active through the harsh Arctic winter. I was already beginning to feel that I owed them an apology for believing in a derogatory connotation to the word lemming! I had thought a lemming was just a figure of speech, a metaphor of blindly following others with no critical thought at all. It was actually an Apple ad during the 1985 Super Bowl that had given me my most vivid image of lemmings, but they were blindfolded people, not cute little fur balls. The video immediately reminded me of Orwell’s book 1984, which had a big impact on me during high school. I read more about lemmings at Wikipedia and about the misconception that they march to mass suicide by jumping off cliffs. These are very old urban legends, started long before there was a Snopes to look them up. Then it got worse. I discovered that Disney had produced a so-called documentary in 1958 about their marching off cliffs, called White Wilderness, quite convincing when you watch it, so convincing that Disney won an Oscar for Documentary Feature for it. But it was entirely staged by the film crew. They didn’t march off the cliffs, they were pushed, shoved or thrown off the cliff by the film makers! Now imagine the folks in that production that had to march up on the stage and accept the Oscar for their skullduggery! Do you think they bragged about their Oscar for the rest of their careers? 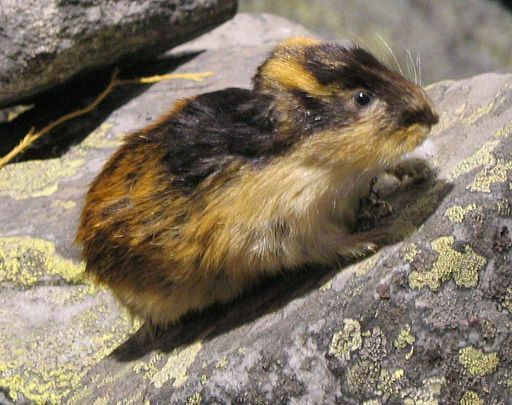 You can read all about it here and be sure to look at the two images the article has of adorable lemmings. It ends by saying “Do they really kill themselves?” No. The answer is unequivocal, no they don’t. So I must take it all back. I should not have implied that a lemming is a bad thing to be at all. Maybe I should just say, think for yourself. Leave Twitter if you decide it’s the best thing for you to do. If you decide it’s better to keep your Twitter account, for possible use during travel, well then that’s okay too. Or anything in between. The next time I go to a major zoo, I’m gonna look for the lemmings and tell them how much I like them and wish them well.